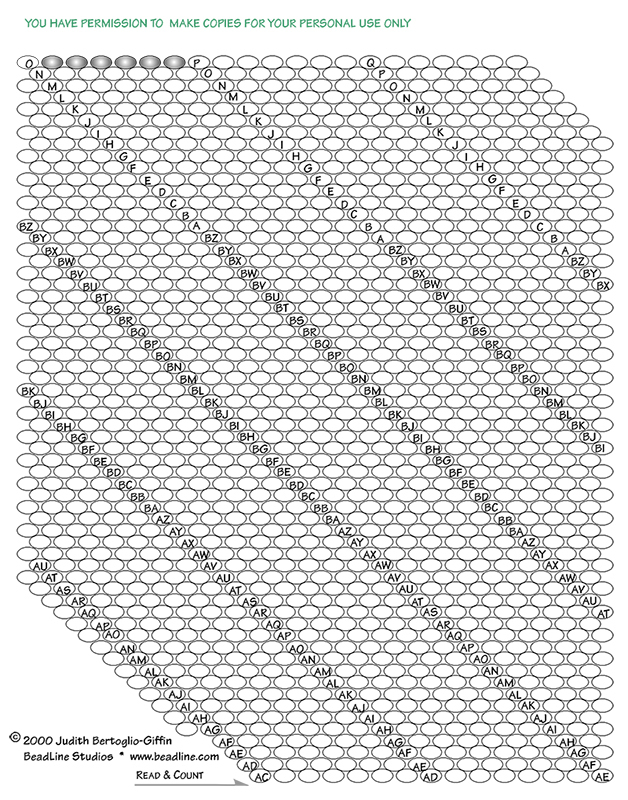 This is a sheet of specialized graph paper for bead crochet rope designs. You will need Bead Crochet Rope Graph Instructions if you have never used this paper before. It can handle both 6 & 7 around rope patterns. You have permission to make copies of this sheet for your personal use only.